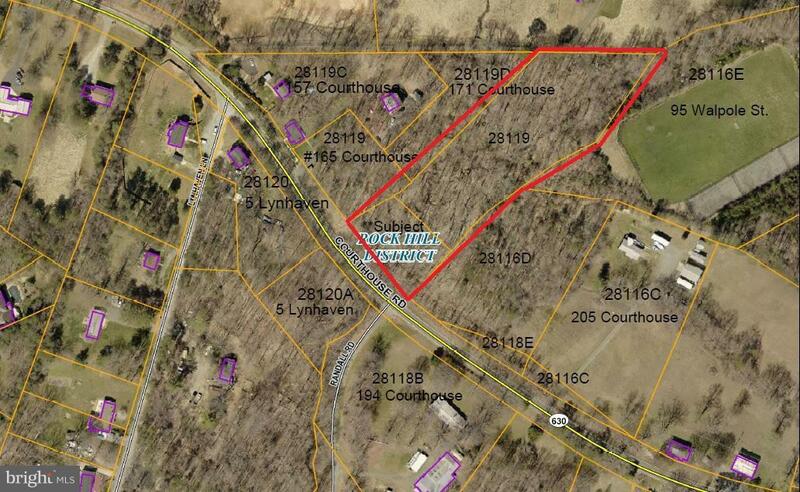 Lot 28----119 is 1.98 acres. Lot 28----119B is 0.63 acres. Total of 2.61 acres. Both lots to be sold together. Currently zoned A1 with commercial potential. These parcels join parcels at 205 Courthouse Rd. and 225 Courthouse Rd. Also listed for sale.